The NBA is about to reach the midway stage and the top rookies are off to a tantalising start to their young careers. 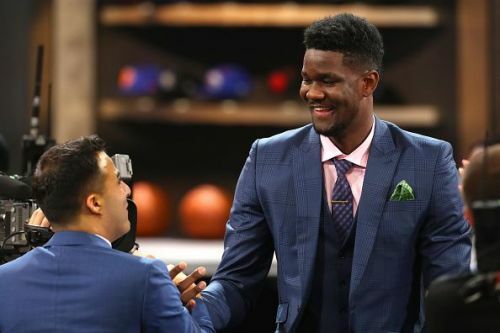 The 2018 NBA draft saw Deandre Ayton getting selected as the number 1 overall pick by the Phoenix Suns. Then the Sacramento Kings selected Marvin Bagley III with their number 2 pick in the draft. 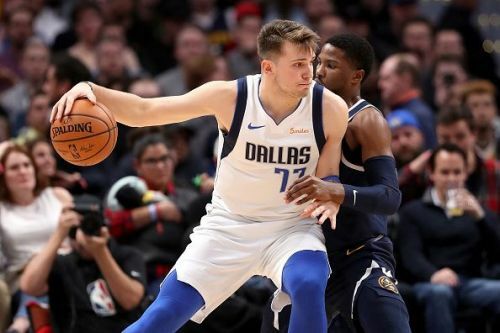 The Dallas Mavericks traded picks with the Hawks and grabbed the opportunity to select their rookie sensation, Luka Doncic, with the number 3 overall pick. Memphis Grizzlies selected Jaren Jackson Jr. with the number 4 pick and the Atlanta Hawks got their wish by selecting Trae Young with the fifth pick in the draft. All of these rookies have been contributing majorly to their team's success so far. Some have even become the most important player for their franchise this early in their career. They have also provided us with some tremendous performances so far. Although Luka has better statistical games this season, this match will be remembered for his clutch abilities. There was an absolute 4th quarter takeover by the Mavs rookie. The Rockets were leading by 8 points with less than 3 minutes to play in the fourth quarter. Then they were struck by the thunder named Luka Doncic. Luka scored 11 straight points for the Mavs and got them the lead. His step back threes over Clint Capela were just magical to watch. The Mavs eventually held onto their lead and got the home victory against the Rockets. Luka is the Rookie of the year favourite and is averaging 19.5 points, 6.6 rebounds and 5 assists per game this season.